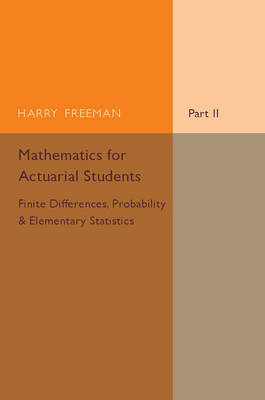 Originally published in 1939, this book forms the second part of a two-volume series on the mathematics required for the examinations of the Institute of Actuaries, focusing on finite differences, probability and elementary statistics. Miscellaneous examples are included at the end of the text. This book will be of value to anyone with an interest in actuarial science and mathematics.